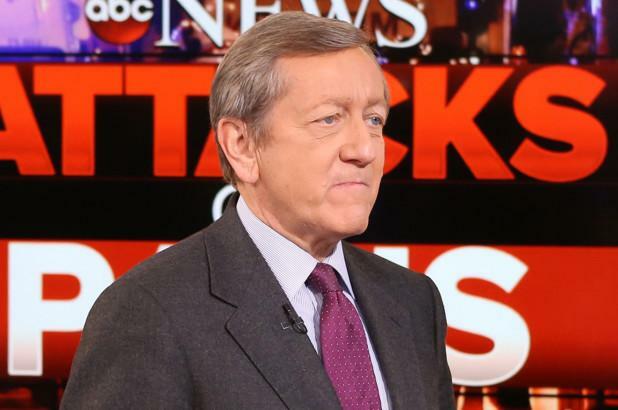 Seven months after ABC News' Brian Ross crashed stocks with a fake news story about Michael Flynn being prepared to testify against Trump, the veteran reporter/producer has quietly left the 'news' organization. As a reminder, in early December 2017, ABC News was forced to correct Ross' earlier report, that Michael Flynn is prepared to testify that Donald Trump directed him to contact the Russians as president-elect, not as a candidate. We deeply regret and apologize for the serious error we made yesterday. The reporting conveyed by Brian Ross during the special report had not been fully vetted through our editorial standards process. As a result of our continued reporting over the next several hours ultimately we determined the information was wrong and we corrected the mistake on air and online. It is vital we get the story right and retain the trust we have built with our audience –- these are our core principles. We fell far short of that yesterday. Effective immediately, Brian Ross will be suspended for four weeks without pay. And now, as PageSix reports that Ross on Monday announced he’s leaving the network. His longtime executive producer Rhonda Schwartz is also exiting. “The time has come to say good-bye,” said the duo in a letter to staff with an announcement by ABC News president James Goldston. So seven months after his "epic mistake," Ross is finally out. We look forward to Trump's response. This is the second purveyor of fake news to fall in the last few days. 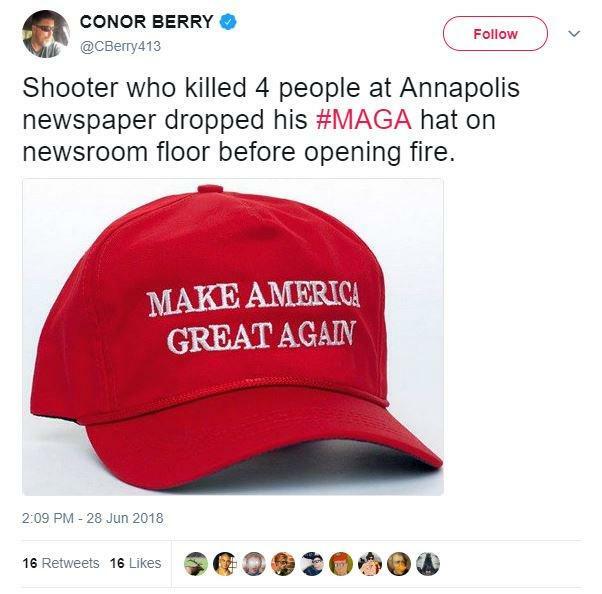 As The Daily Caller reports, a reporter at a Massachusetts-based newspaper resigned Friday after falsely claiming in a tweet Thursday that the man who killed five employees at the Capital Gazzete newspaper left a “Make America Great Again” hat at the crime scene. At least he admitted his mistake and left on his own terms, taking responsibility for his actions.